제록스리서치센터유럽 (이하 XRCE)이 네이버랩스와 함께 한다. 네이버와 미국 제록스社간 인수 협약에 대해 사원협의회(Works Council, Comité d'entreprise)가 최종적으로 승인했으며, 남은 절차에 따라 올해 3분기 내에 인수가 완료될 계획이다. XRCE 소속 연구원들은 네이버랩스 소속으로 연구를 이어가게 된다. 1993년 설립된 XRCE는 미국의 실리콘밸리를 연상하게 하는 프랑스 그르노블 지역의 외곽에 위치한 첨단기술연구센터이다. 주로, 머신러닝, 컴퓨터 비전, 자연어처리 등 인공지능 분야에 20년 이상 연구개발을 진행하며 세계적인 기술을 보유하고 있다. NIPS, ACL, ICML 등 75개 이상의 저명한 컨퍼런스, 학술지, 학회에 AI 관련 기술 논문을 발표하고 있으며, 올해 CVPR에서도 다수의 논문이 발표될 예정이다. 지난 2005년 월스트리트저널 테크놀로지 이노베이션 어워드 상을 수상했으며, 2013년에는 MIT선정 '가장 혁신적인 기업 50'에 선정되는 한편 ECCV, PASCAL 등에서 수상하는 등 높은 기술력을 인정받고 있다. 인공지능 기술이 IT기업들의 미래 전략에 큰 의미를 지니는 현시점에서, 네이버랩스는 세계적인 수준의 기술을 단기간에 확보하며 기술 플랫폼 회사로서 도약할 수 있는 계기를 마련했다. 또한 인공지능분야의 뛰어난 전문가들을 일시에 확보한 의미도 있다. 네이버랩스가 연구 중인 인공지능, 자율주행, 로보틱스 등 '생활환경지능' 기반의 제품과 서비스 개발에 XRCE 연구기술이 접목할 수 있게 되면서, 기술 발전 속도가 월등히 빨라질 전망이다. 실제로 다수의 글로벌 기업들이 인수전에 뛰어들었음에도, XRCE가 네이버랩스와 함께 하기로 한 이유는, 그 간의 연구분야가 일치하여 공동 기술연구 시너지가 높다는 점을 들 수 있다. 그와 더불어 실사 과정에서의 자유롭고 가감 없는 기술적 질의와 대화를 통해 서로의 전문성을 확인하는 한편, 오직 기술 향상을 위해 격의 없이 토론하는 네이버랩스의 기업문화를 경험했다는 점이 더욱 크게 작용했다. 네이버랩스 송창현 CEO는 “XRCE는 세계적으로 주목받는 연구진들이 대거 포진한 제록스의 주요 연구소 중 한 곳으로, 컴퓨터 비전, 머신러닝, 자연어처리 등 AI 기술에 대한 XRCE의 높은 연구 성과들이 네이버랩스가 주력하는 AI/딥러닝, 3D 매핑, 로보틱스 등 ‘생활환경지능’ 기술 연구들에 더해져 글로벌 무대에서 더 큰 성과를 낼 것”이라고 밝혔다. XRCE는 네이버에 인수된 이후, '네이버랩스 유럽'으로 명칭을 변경하고, 네이버랩스와 생활환경지능에 대한 공동 연구를 진행해나갈 계획이다. NAVER Corporation and Xerox Corporation today announced an agreement for NAVER to acquire the Xerox Research Centre Europe in Grenoble, France. The French Works Council’s consultation on this project has now been completed and the agreement is expected to close in the third quarter, subject to fulfillment of certain customary conditions. Once the sale becomes final, all 80 plus researchers and administrative staff are expected to become part of NAVER LABS. Based in Seongnam, South Korea, NAVER is Korea’s leading Internet company, operating the nation’s top search portal “NAVER,” and other innovative services in the global market such as the mobile messenger LINE, video messenger SNOW and community app BAND. And NAVER LABS is an ambient intelligence company that develops future technologies including autonomous driving, robotics and artificial intelligence. Since its establishment as NAVER’s R&D division in 2013, it has led NAVER’s innovation in technology through products such as ‘Papago’, AI-based translation app, Whale, the omni-tasking web browser, and M1, the 3D indoor mapping robot. Founded in 1993, the Xerox Research Centre Europe is located just outside Grenoble, often dubbed the Silicon Valley of Europe. The centre has focused its research in artificial intelligence (AI), machine learning, computer vision, natural language processing and ethnography. 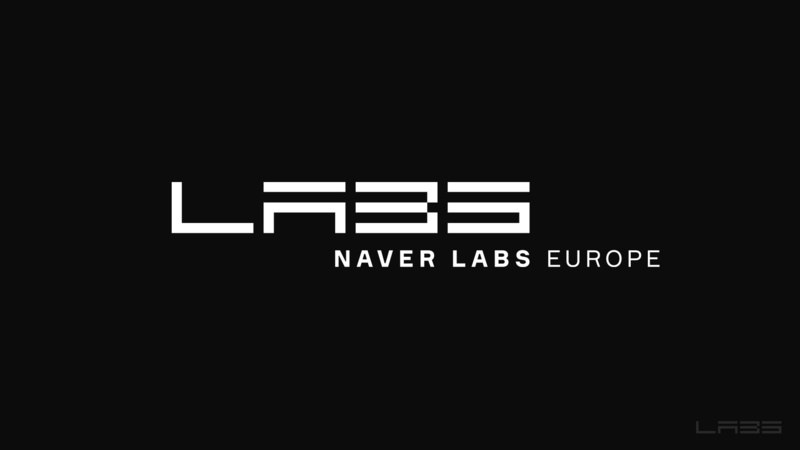 With such a strong foothold in Europe, NAVER LABS expects to considerably accelerate its development of ambient intelligence technologies around the globe and in particular in AI.